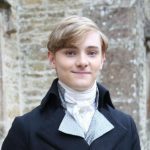 With series 4 of Poldark just over the broadcast horizon on both BBC1 and PBS, news of series 5 being commissioned was announced earlier this week in a video recorded by Eleanor Tomlinson, who plays Demelza, at a BFI screening of the first episode of series four. Tomlinson was unable to attend due to her filming of the forthcoming BBC adaptation of War of the Worlds. Fortunately, she took enough of a break from running from aliens on a daily basis to thank fans of the long-running British period drama starring Tomlinson and Aidan Turner as Demelza Poldark (née Carne) and Captain Ross Poldark. While there has been no ‘official’ confirmation of this, senior BBC sources have strongly indicated that with the good news of the series 5 commission comes a bit of sad news. 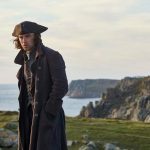 Series 5 will, most likely, be the last time we’ll see Capt Poldark ride his horse up and down the Cornish coastline as the series is likely to bow out after series five airs in 2019. 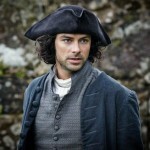 Series 4 will draw upon the final third of Winston Graham’s sixth Poldark book “The Four Swans” and all of book seven, “The Angry Tide” where we will will find Ross Poldark in Westminster when he becomes an MP. The action of series four will run until the Christmas period of 1799. 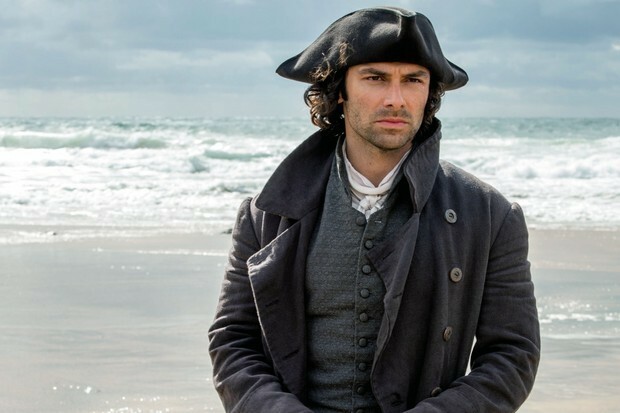 The next book, “The Stranger from the Sea”, which is the eighth in the series of 12, starts in 1810 and would be a leap of more than ten years, making Aidan Turner’s character around 50 years old. 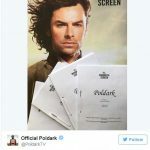 Poldark S4 returns to BBC1 and PBS later this year.